The history of online gambling knows many great acquisitions. One company takes over another one to fulfill its potential and introduce something new. Greentube today belongs to Novomatic. But that wasn’t always their unit. It was a strategic acquisition which allowed Novomatic to enter internet gaming market. 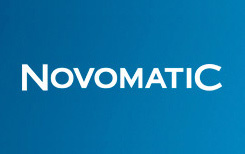 You probably are well familiar with Novomatic and its creations, or at least have heard of it. This is a famous company which produces literally anything for mobile, online and offline gaming businesses. Their selections are available at a wide range of best Novomatic online casinos. Why gamblers choose casinos with Novomatic software? The company is dedicated to providing highest quality products and never enters markets with some unclear regulations. Their creations are only available on markets which have all necessary laws regulating the industry. Besides slots Greentube supplies variety of casino games and other gaming solutions. Greentube is registered in several different countries and complies with all the laws of those jurisdictions. There are in total 9 licenses, including MGA and UKGC. Whatever market they enter, you can be sure they have all necessary documents. This shows their determination to run honest, fair and transparent business. With so many organizations monitoring and evaluating operations, it’s impossible to deliver unfair games. Their state of the art systems responsible for generating random results is tested by independent laboratory and found to be unbiased and secure. Therefore, gamers and operators are well protected from any manipulations with game results. World most respected operators readily partner with this developer and are in the list of Novomatic online casinos. Greentube has eight units, each producing certain type of gaming solutions. Online gamers are most familiar with their gaminator slots, but there are a lot of other entertaining games, for example, Bingo which is very popular in Europe. The developer offers a lot of bingo variations people enjoy. One table can accommodate maximum 50 gamers. Thanks to this, bingo becomes even more exciting. It also provides live dealer services. This unit was introduced just several years ago with the goal of supplying something new, more thrilling to live casino gamers. They have developed some unique features and side bets related to their popular video slots. It offers live casino solutions to best Novomatic casinos both online and offline. Sportsbook software is the Greentube unit many players don’t know about. It is one of the most recently added solutions. They entered this new market like professionals, introducing state of the art software a lot of sports betting enthusiasts would enjoy. There are hundreds of wager types, variety of sport events and much more. Sports betting is available on mobile devices and PCs. There are other units which help boost performance of reliable Novomatic casinos as well as other gambling operators. But the company’s division which would be the most interesting to players is the one developing slots. This supplier has countless number of slot machines and regularly expands its portfolio. Their video slots aren’t the most visually appealing, but a lot of gamers find them amazing. Slot designs would look better at land based casinos because today online casino content suppliers usually produce more up to date styles and characters. Many titles can be played on computers and iOS/Android handsets. They usually have 5×3 reel sets, rounds of free games, special symbols and gamble feature. Some of their iconic titles have two versions: regular and deluxe, for instance Book of Ra, Lucky Lady’s Charm, Sizzling Hot and others. Deluxe versions usually have more features and hence results in more thrilling experience. Greentube slots can be characterized by quite primitive design, and that’s not because they don’t have enough resources or professionals, but because they have chosen this style. Even their latest releases can’t be called visually appealing. But still there’s something special these titles have that attracts players.